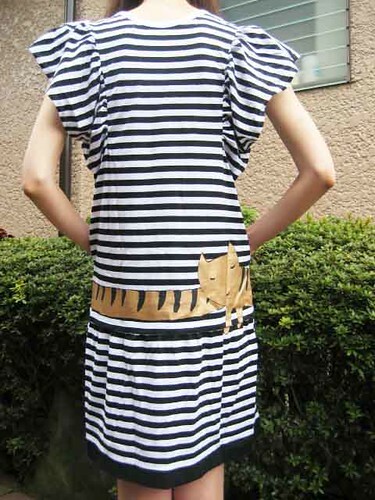 I got a funny T-shirt dress from Tsumori Chisato. 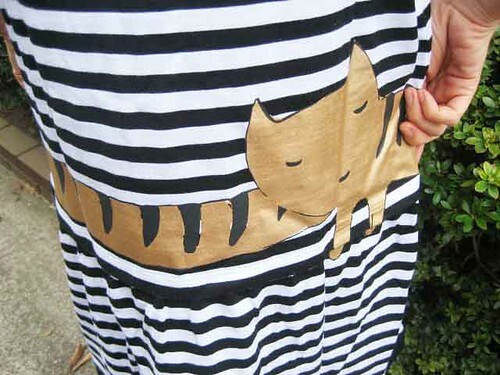 This Striped frilly dress has funny but cute picture of a cat. Oh my goodness, I love it so much!! That is really cute, but damn girl you need to eat something.